WOODBRIDGE, NJ April 9, 2018 – Bergman Real Estate Group and Gottesman Real Estate Partners acquired a 94,000-square-foot office property at 75 Livingston Avenue in Roseland, NJ. The property was purchased from Mack-Cali Realty Corporation announced the firms’ principals, Michael Bergman, President and CEO of the Woodbridge, NJ based Bergman Real Estate Group and Andrew Gottesman, CEO of the Chatham, NJ based Gottesman Real Estate Partners. The Bergman/Gottesman joint venture was represented by Michael DiFede, Director of Acquisitions for Bergman and Patrick Leary, Vice President of Gottesman Real Estate Partners. Acquisition financing was provided by TriState Capital Bank who was represented by Alex Fatenko, Senior Vice President. 75 Livingston Avenue is a modern, three-story office building on 7.5 acres of attractively landscaped grounds at the corner of Livingston Avenue and Becker Farm Road, less than a quarter mile from the four-way interchange of I-280 at Exit 5B. 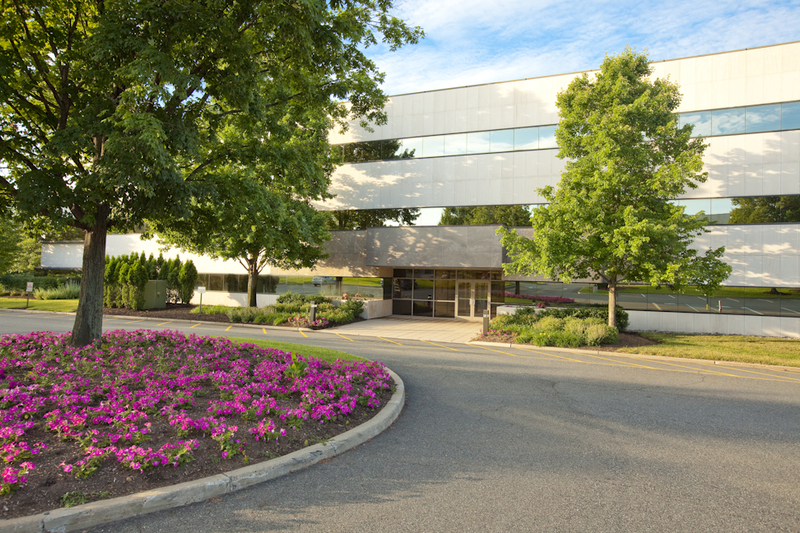 The property was originally developed by Bellemead Development Corporation in the mid-1980s as part of a nine-building, 1.2 million square-foot office campus known as 280 Corporate Center, one of the most desirable and conveniently located campuses in New Jersey. “Our two firms’ philosophy is to invest in well located, undervalued assets with long term growth potential,” Bergman said. “We see 75 Livingston as an ideal addition to our growing portfolio of suburban office buildings that are ripe for repositioning.” The building was 67% occupied at acquisition, leased to local law firms and other professional businesses. Located directly off I-280, the building provides easy and convenient access to New Jersey’s major thoroughfares, including the Garden State Parkway, the NJ Turnpike, I-80, US Highways 3 and 46 and as well as local Routes 10 and 21. The acquisition of 75 Livingston represents the fourth joint venture between Bergman Real Estate Group and Gottesman Real Estate Partners. The joint venture plans to invest more than $1.7 million toward capital improvements over the next 24 months, including common area upgrades to the lobbies and restrooms, a new on-site café with seating, newly paved parking lots, new exterior monument signage, a bike-share program, electric charging stations, solar panels on the roof and possibly a fitness center with showers and locker rooms. To inquire about space availability, visit www.BergmanRealty.com. Founded in 1988, Bergman Real Estate Group is a privately owned, full-service real estate investment and management company. With more than 30 years of history operating in New Jersey and other select markets, Bergman has earned a solid reputation as a reputable owner/manager. The company’s fully integrated platform includes acquisition, ownership, asset and property management, leasing and construction supervision. Bergman, which has built its success on acquiring and successfully repositioning underperforming properties, currently manages 17 office buildings comprising 2.25 million square feet. Gottesman Real Estate Partners focuses on commercial properties, particularly office buildings, in and around New York City. Its flagship holding is The Hippodrome Building at 1120 Avenue of the Americas in Manhattan, which includes 750,000 square feet of corporate office, suite, retail and parking space. The family-owned enterprise also controls assets in Secaucus, Princeton and Sea Girt, NJ, among other locales. Gottesman Real Estate’s long-term strategy allows the firm to properly manage its portfolio with both its tenants and partners in mind.